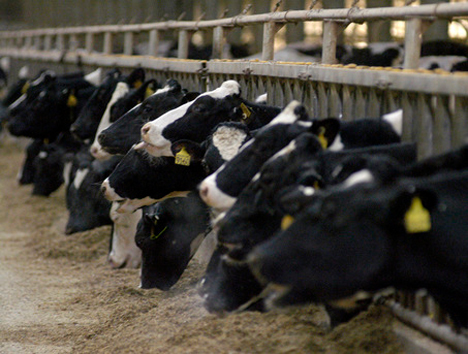 Could Pain-Free Animals End Factory Farm Suffering? Even as the general population seems to be getting more interested in preserving the environment, our taste for meat is increasing. 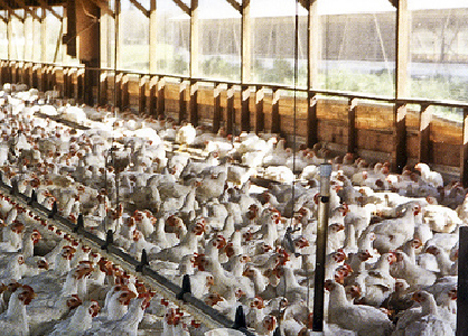 And that means that factory farming is not only continuing, but getting more and more prevalent around the world. While factory farming allows meat-eaters to sustain their 300 million tons per year flesh habit, it’s not known for being a kind or humane way to raise animals for food. According to Washington University (St. Louis, MO) philosopher Adam Shriver, breeding pain-free animals may be the way to reconcile our taste for meat with the ethical dilemma of eating food raised on factory farms. Huge advances have been made in understanding the chemical, molecular and genetic bases for pain. These advances allow us to manipulate how pain is experienced, and may allow us to eliminate the sensation of pain in farm animals. Studies have been performed on rodents in which their pain receptors were suppressed or altered, and the results indicate that it is possible to reduce or eliminate pain in animals. In some humans experiencing chronic debilitating pain, a surgery has been performed to remove a part of the brain that registers pain. However, performing surgery to remove or alter pain-registering parts of the brain would be far too costly for farmers. 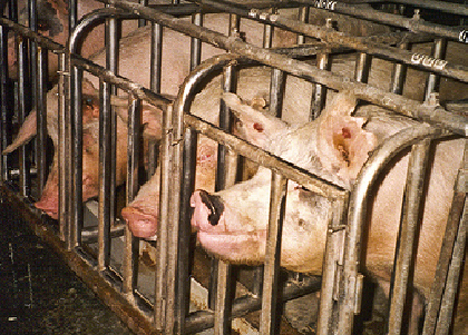 The solution, then, would be to breed animals lacking the genes that cause them to feel pain. It’s been argued that simply removing the ability to feel pain may actually do the animals more harm than good, putting them in danger of harming themselves inadvertently because their natural aversion to pain will have been circumvented. Short of preventing the animals from feeling pain altogether, it may be possible to just make it less bothersome, similar to the effects of morphine on human patients. While it won’t solve all of the ethical or environmental issues with eating meat, reducing the amount of pain felt by factory-farm animals may be a small step toward making meat a little more humane. See more in Medical Marvels or under Science. October, 2009.